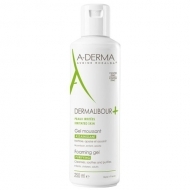 Soothes, purifies and favours epidermal repair of irritated skin. 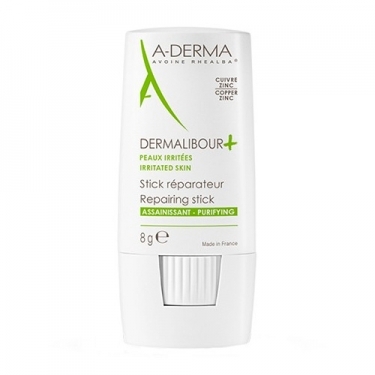 DESCRIPTION: Dermalibour+ Repairing Stick from A-Derma is a stick, which helps to regenerate, calm and take care of skin irritations locally, such as dermatitis. Smooth and mellow texture with rhealba oat extract, zinc oxide and copper sulfate for a regenerating, antibacterial, soothing, anti-irritant and softening action. Practical and discreet packaging. 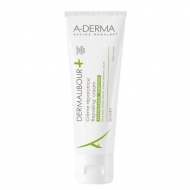 Easy to apply, it can be used on face and body. Ideal for the whole family (baby, child and adult). High tolerance, without perfume and without parabens. 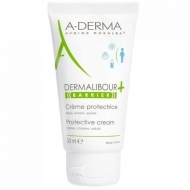 Apply 2 to 3 times a day on affected areas of the skin, perfectly clean and dry.